Maas-Rowe Carillons, Inc. introduces our newest product, the Bellwether. The new Maas-Rowe Bellwether boasts a beautiful 10″ Touch Screen and ease of use. Holiday programming is a snap with date sensing technology so that you don’t have to keep track of floating holidays. With the Bellwether you get the same great “Clear-As-A-Bell” Chronobell sound that you have come to enjoy from our other legacy products. Large On-Screen Buttons and Large Font make the Bellwether easy to see and use. Navigation via the touch screen is a snap. Simple yet elegant, you will love the Bellwether. 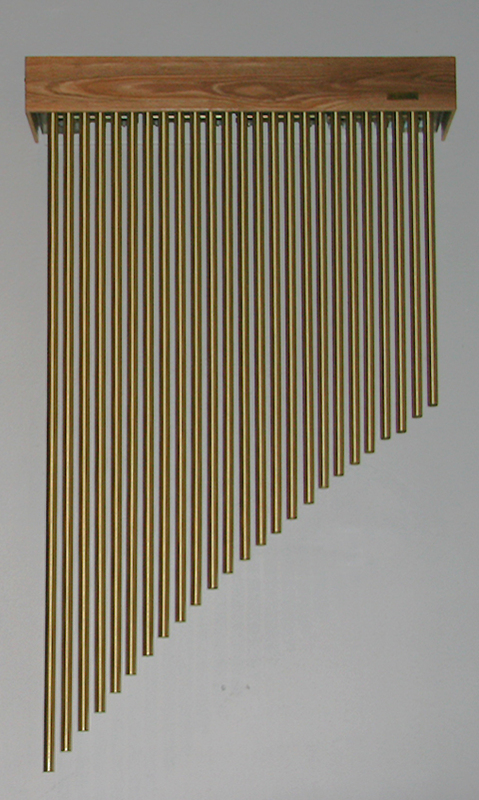 Add the beautiful sound of genuine Maas-Rowe Cathedral Chimes to your pipe or electronic organ. 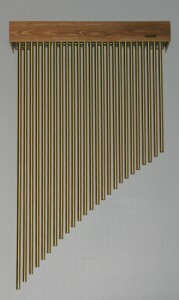 Maas-Rowe Cathedral Chimes have been recognized for superior tone and performance for more than sixty-five years. Proven in thousands of installations throughout the world, Maas-Rowe Cathedral Chimes are the clear choice for the professional organist who wants tonal perfection and smooth, reliable operation. 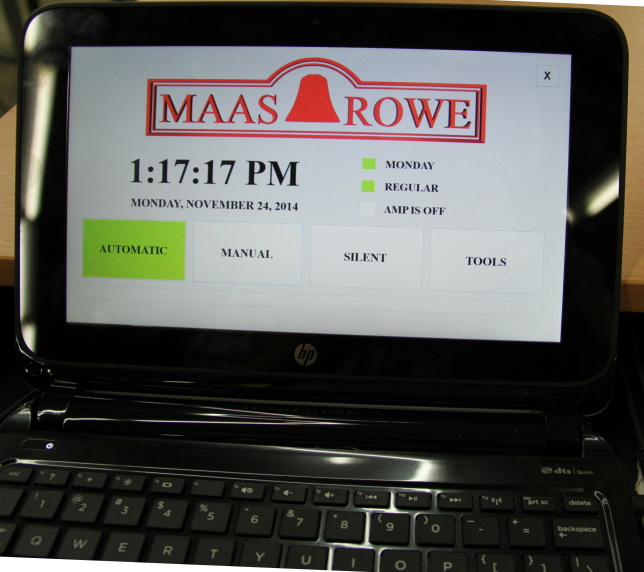 Maas-Rowe Computer Controlled Clock Drives keep the Hands perfectly synchronized with the Westminster Chimes that play on the hour. They also reset themselves for Daylight Saving Time changes and after power outages. The reset takes less than one minute. 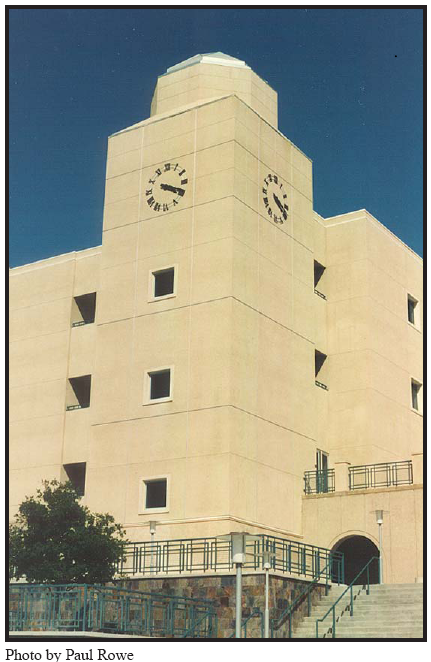 A Maas-Rowe Digital Chronobell® III provides the bells that chime with the clocks. This uses the unique “miniature bells”, developed and patented by Maas-Rowe. While each bell weighs just a few ounces, it is perfectly tuned, then amplified electronically. The result is a beautiful sound equivalent to large bells weighing thousands of pounds. 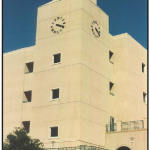 A Maas-Rowe GPS Reference Clock keeps the Chronobell® precisely synchronized to the time.